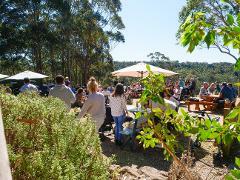 This all inclusive Food and Wine Tour is for those who want to explore the beautiful towns of Tilba and Bermagui and discover the very best local produce of the area including wines, cheeses and a three course lunch with paired wines. This full day all inclusive Aboriginal Cultural Tour is something you will never forget. 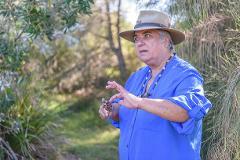 Your local Yuin Nation Guide will have you completely captivated whilst you walk the Bingi Dreaming track. Afterwards enjoy a three course lunch. 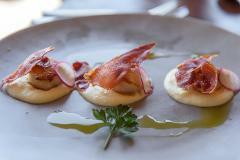 Explore the Far South Coast including the townships of Tathra, Merimbula, Pambula, Bega & Eden. The Sapphire Coast is one of the most beautiful coastlines in Australia. 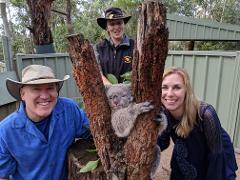 Enjoy a native animal encounter, delicious lunch & oyster tour. The Zoo and Kayak tour is all about getting close to nature. The privately owned Mogo Zoo is one of the highlights of the area with incredible interactive experiences. Kayak in Batemans Bay and taste oysters from the oyster producer. The Tilba's, as they are known as, are fascinating for their diverse history both Aboriginal and from the National Trust 1800's heritage mining town. 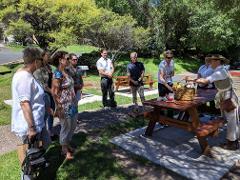 Enjoy dreaming stories of Gulaga Mountain whilst enjoying lunch on a local farm. 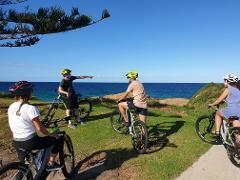 Our expert mountain bike guide will accompany you on a half day e-bike tour of the Narooma area including the Narooma to Dalmeny cycle route and key Narooma sightseeing points of interest such as Australia Rock and Mill Bay Boardwalk. Our expert guide will accompany you on a full day e-bike tour of the Narooma area including the cycle track, key Narooma sightseeing points of interest such as Australia Rock & Mill Bay Boardwalk, and the Narooma Hinterland. 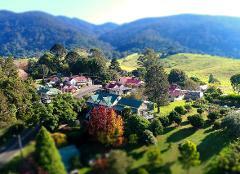 Our half day tour of Narooma & surrounds will immerse you in nature. Marvel at the seals, giant sting rays, pelicans and possibly even wallabies. Enjoy the Narooma hinterland. Visit Tilba and Tilba Valley Winery for a wine tasting. Discover the pristine coastline from Narooma to Dalmeny on our top of the line e-bikes, lead by your very own tour guide, followed by a local produce picnic overlooking Dalmeny Beach. Sit back, relax & enjoy a glass of wine at the Tilba Valley Winery. Every Friday, Saturday & Sunday we host shuttles to the winery including lunch & a glass of wine.